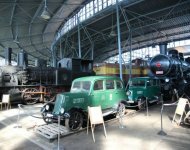 Railroad depot Chomutov offers dozens of unique locomotives, wagons and other railway equipment. 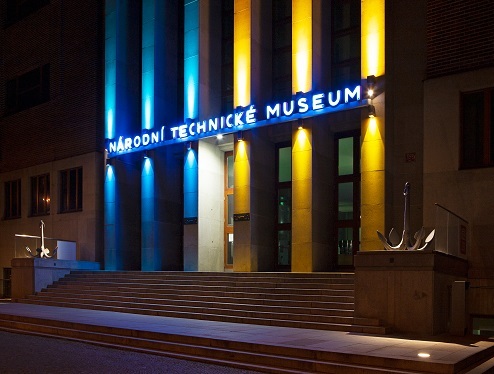 During national holidays and important anniversaries, the National Technical Museum offers a special reduced admission price of CZK 50 per person. 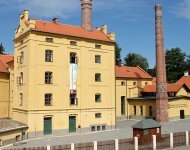 Reduced admission prices apply year-round to the NTM’s main building located in Prague’s Letná district. They also apply during in season opening hours at the NTM’s Building Heritage Centre, Plasy (Centrum stavitelského dědictví Plasy) and at the NTM’s Railway Depositary in Chomutov (Železniční depozitář Národního technického muzea v Chomutově). Reduced admission prices do not apply to tours of the Ore and Coal Mine exhibition at the main NTM building (surcharge: CZK 50 or CZK 30). Made in Czechoslovakia – the Industry that Ruled the World. With this exhibition, we would like to introduce to our visitors technical and industrial development of Czechoslovakia state during its period of existence from 1918 to 1992. Within this exhibition, we display a representative sample of collection exhibits, which tell our visitors about important Czechoslovakia companies as well as about important individuals of Czechoslovakia technique and industry. This exhibition is part of celebration given in occasion of 100th anniversary of foundation of Czechoslovakia. You may also visit www.czechandslovakcentury.com to get information about other interesting projects. due to maintenance on 18th April, the Museum closes at 17:30. The last visitors will be alowed to enter at 17:00. This exhibition presents the famous products which bore the label "Made in Czechoslovakia". On the opportunity of the 100th anniversary of the foundation of Czechoslovak Republic, we have prepared this exhibition to remind us as well as our visitors from abroad, famous products that were Czechoslovak companies producing from 1918 to 1992. We also present famous personalities without whose genius the products would never have been produced. This exhibition is part of the NTM project for the 100th anniversary of the foundation of Czechoslovak Republic entitled "Made in Czechoslovakia - the Industry that ruled the World. Within this exhibition, you may visit a fair where are presented products made by domestic companies. This exhibition adds contemporary production to the historical ones presented in the main exhibition. Legendary Favorit exhibition shows the development of Favorit company from 50s to 90s of twentieth century. The company had it seat in town of Rokycany and produced bicycles that were used for professional sport activities as well as for leisure time. Within the exhibition you shall have the opportunity to see 60 displayed bicycles models. One of the most interesting and the most precious bicycle displayed is the "golden one" that used Jiří Daler when he won golden medal in Olympic games in Tokyo in 1964. The exhibition presents the exceptional personality of Karel Kruise, professor of fermentation chemistry and photography at the faculty of Technique in Prague, who was a scientist, teacher and artist. The exhibition was opened on the opportunity of 120 years anniversary of the foundation of Institute of Fermentation Chemistry and Institute of Photography at the faculty of Technique in Prague where Karel Kruis was the head of these Institutes since 1899. The public now has a chance to see archives of this exceptional chemists and photographer in NTM. On the anniversary of 150th years from the birth of Kamil Hilbert, National Technical Museum opened a new exhibition dedicated to this exceptional architect. It is also 120th years ago when he was appointed to be in charge of finishing the construction of Saint Vitus Cathedral. The International Children’s Exhibition of Fine Arts Lidice (ICEFA Lidice) was established in 1967 to commemorate the child victims from the Czech village of Lidice murdered by German Nazis, as well as all other children who have died in wars. This year the exhibition takes place in two different places at once. At the Lidice gallery and at National Technical Museum. The topic for this year is chemistry.